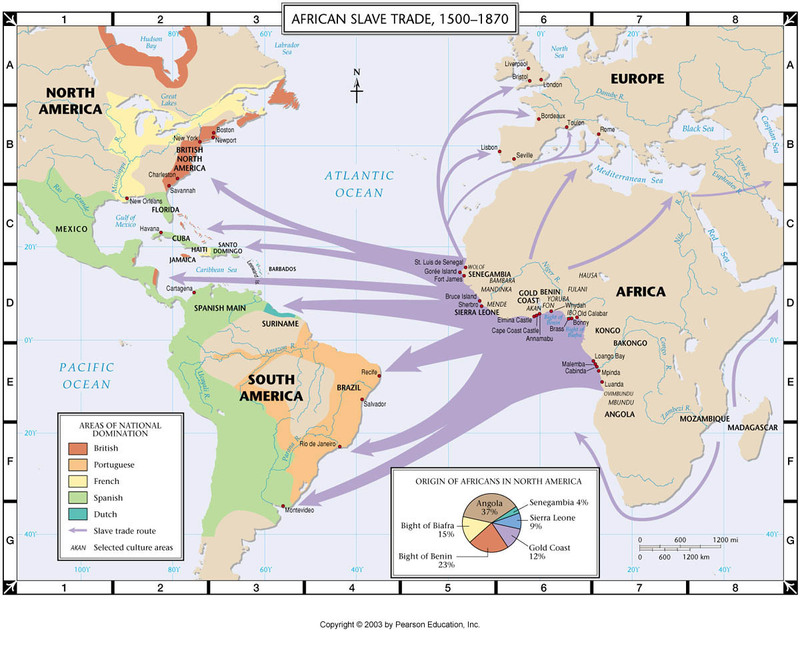 Transit ports on the long journey between the mainlands of North and South America, Europe and Africa, Caribbean islands greeted many African born, enslaved men and women. 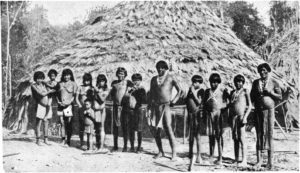 The current population and cultures of these islands now prove that in many cases it was indeed their final destination. However, enslaved Africans were not the first to meet such a fate. The first to be caught up in the ravages of chattel slavery were the indigenous populations that colonizers met when they stumbled upon these islands. Some were called Carib, (from where the name Caribbean is derived), others Arawak and more still call themselves Taino, on the few islands where they can still be found to this day. 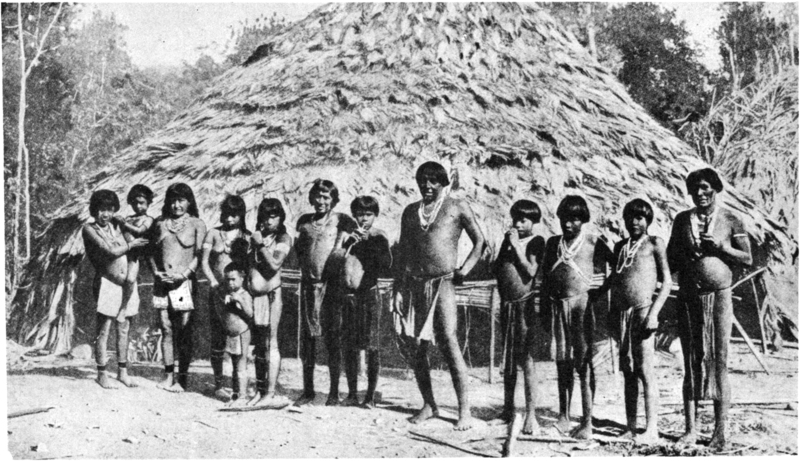 The brutality of invasive raids, subsequent massacres and enslavement, along with unfamiliar infectious diseases are said to have been responsible for the drastic depopulation of indigenous nations. A few of these tribes however did enter into some trade and cooperation with these strangers from across the sea and in so doing led these adventurers to “discover” other islands to ensnare on behalf of their imperial masters. It is these masters that are, in large part, responsible for the way in which the history of slavery unfolded in the Caribbean, the connection between specific islands with slave ports on the mainland, and even the present opinions islanders have of people from other Caribbean islands. In the span of about 300-400 years or so, the Caribbean saw invasions from three major European colonial rivals, namely, Spain, England, and France. The first among them to stake a claim was of course Spain with Columbus’ arrival in “Hispaniola”. Spain would go on to claim and then lose all or part of other island territories to both England and France. This is where today we get the other name attributed to this tropical region, the “West Indies”, that historically was known more specifically as the French West Indies and the British West Indies. Jamaica, for example, was one of the first that Spain lost to Britain, while the Western part of Hispaniola (now known as Haiti) went to France. Each of the many successions of power between colonial forces did not come by way of negotiation but by way of conflict and war, on all fronts, which included economics. Perhaps economics was the key factor that drove each of these colonial powers. Their advancement within their particular regions of interest was contingent upon how well they managed to exploit their captured islands. Most all came looking for gold, starting with the Spaniards’ search for the fabled El-Dorado. In fact, one town on the island of Trinidad is still named El-Dorado, in memory of the mythic city of gold. It was rumored to be located on the banks of the Orinoco river that flows on the mainland of South America, primarily through Venezuela. Trinidad became the main port by which envoys of gold crazed marauders would strike out in search of their fortunes, so much so that even its capital still bares the name of Port-of-Spain, for how this island first came to be used. This is by no means unique and as evident throughout the Caribbean, these ports would play a vital role in the spread of capitalism in the western hemisphere. One major hub for capitalism’s spread was Barbados. It was known as the, “Jewel of the Caribbean”, because of its financial benefit to the British Crown. Barbados was one of the very first islands to be colonized, starting close to the mid 1600s. Once a lushly forested island, it became completely deforested due to plantation exploits. Its involvement in the slave trade started as a result of the demands of the sugar industry (Sugar, at the time, was one of the most valued commodities in the western world). Prior to this, the merchants and aristocrats sent to colonize this island, which some say was named by the Portuguese on their way to Brazil, used indentured Europeans primarily to do the labor on cotton and tobacco plantations. This would quickly change with the developing sugar market. 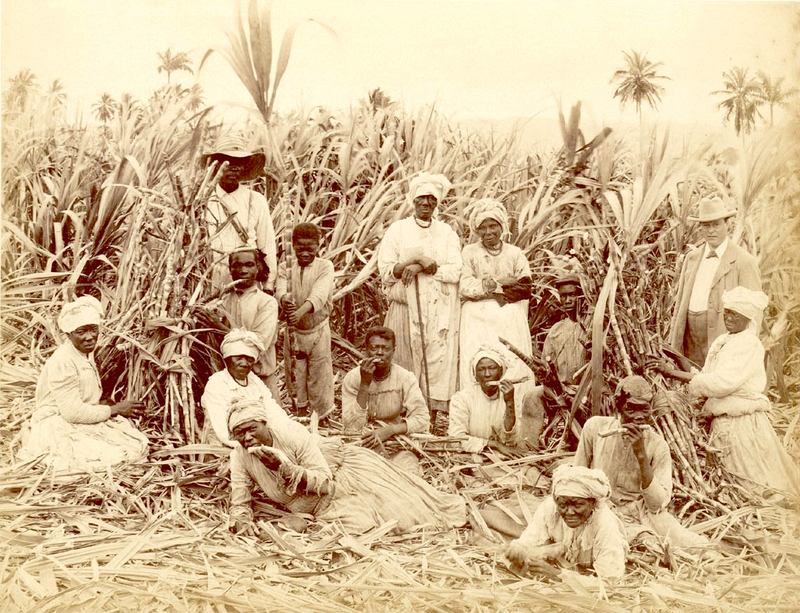 The Dutch established delivery of enslaved Africans to Barbados and soon Bridgetown (its capital) would become the premier port for the import and later re-export of enslaved Africans from all over the westernmost territories of Africa. Due to its position, being the closest of all the English colonized islands to Africa and its accessibility on the path of the northeastern trade winds, we find the dispersion of various groups of Africans in the diaspora beginning here, in earnest. 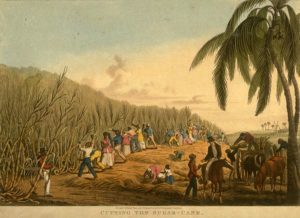 In fact, the majority of plantations in the Carolinas of North America were supplied with enslaved Africans who had been brought there by way of Barbados. If one were to ask many African Americans today if any of they have family from North or South Carolina, most will say yes; such were the large numbers of enslaved Africans that left this crucial port. However this wasn’t the only place that slavers would deliver their captives. Once they had arrived at Bridgetown, the closest port on their grueling journey, the captors would take the opportunity to rest and restock. There they would also permit their suffering human cargo the mercy of baths, some fresh air and a chance to regain a measure of rejuvenation before being taken to other slave ports, including neighboring islands, where they would be sold to the highest bidder. Soon after the colonization and settling of Barbados by some of the British aristocracy, merchants, landlords, plantation owners, and thousands of Irish workers, it became not only the wealthiest island but also, at one point, one of the most densely populated places on Earth, proudly waving the banner of its colonial master, the British Crown. However, as an economic power it began to lose ground to a distant neighbour situated in the Greater Antilles, Jamaica. Perhaps, in the context of slavery, Jamaica is best known for its resistance movements and slave rebellions that lead to those groups of freedom fighters being given the moniker of “Maroons”. These acts of insurrection and their internationally recognized activism against the oppressive system of colonialism are still referenced today. Nonetheless, it is the lack of notoriety for similar rebellions on other islands that has given legs to the rumor that Jamaica is where the most “rebellious” enslaved Africans were sent. History however, doesn’t seem to support this. Jamaica was first colonized by the Spaniards along with Cuba, Puerto Rico and Hispaniola (Haiti and Dominican Republic) its neighbours of the Greater Antilles (a chain of larger islands in the northern Caribbean). As mentioned, it was taken over by the British after the Spaniard colonists were routed and ordered off the island. Being another of the very early British colonies among the islands, its establishment was patterned after what had been the Crown’s earlier success in Barbados. However, one factor in Jamaica’s early development facilitated the potential for a successful resistance movement. Not only is its terrain more mountainous, permitting the possibility to use these regions as points of seclusion and from which to mount attacks; it was how it was commandeered from the grasp of the Spaniards, that left the opportunity for Africans to become an actionable threat to the colonial forces. Similar to the American Civil war, where the North enlisted enslaved Africans to fight their war against the South, one Spaniard holdout, using guerilla tactics from those mountainous hideouts, enlisted Africans to fight alongside his militia in order to retake the island for Spain. 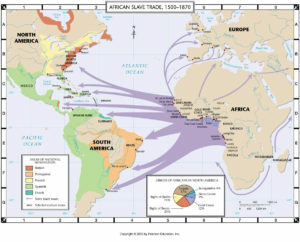 The British used a similar strategy in recruiting Africans to their cause and in a turn of events, many Africans on the side of the Spaniards defected to the British. So, it turns out that it was an enslaved African regiment, fighting for the English Crown, that struck the decisive blow in the final defeat of the Spanish. They were subsequently given their freedom and rights to portions of the land they had settled. This is a cursory history of how the whole idea of the “rebellious maroons” came to be. Nonetheless, these rebellions were always a threat on all of the islands that had large plantations where enslaved Africans vastly outnumbered their oppressors. 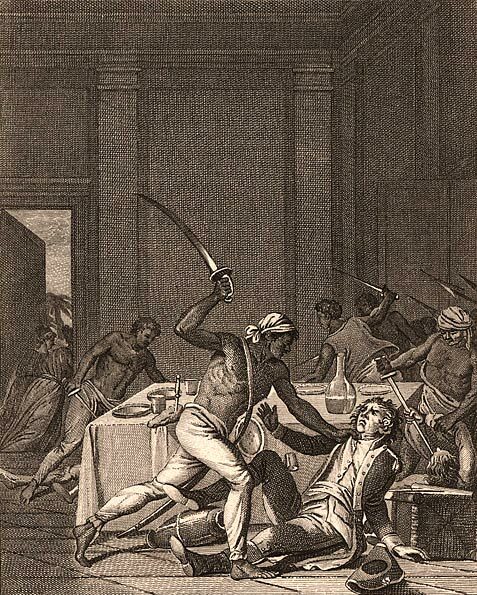 Trinidad, the big island of the Lesser Antilles (the chain of smaller islands in the southern Caribbean), was a latecomer to the horrors of the slave trade, following almost 150 years behind Barbados and Jamaica. However, even in the comparatively short time that it yielded to the slave trade’s intoxicating appeal, first to the slave owning French fleeing from the blowback of the Haitian revolution, and finally to the English; strict measures and martial law had to be instituted. These steps were thought necessary, at a certain point, in order for the owners of slaveholding plantations to avoid becoming victims of the seething wrath of their abused field hands. Hence, the rumor of the more “rebellious” Jamaicans versus the other more “docile” Caribbean islanders, like Barbados, Trinidad etc., implicating the general temperament of those islanders’ enslaved forefathers; is questionable. In fact, one of the first groups of enslaved Africans to arrive, after the English won the fight to claim Jamaica from the Spaniards, were from Barbados. They were among the thousand odd individuals that were brought there together with the first English settlers. 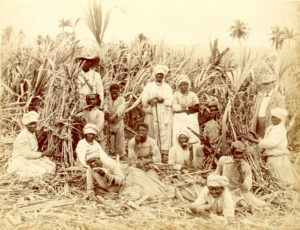 These settlers were brought to Jamaica to commence the British exploitation of this island through the use of slave labor, which continued unabated for the next 200 years, allowing it to become the biggest financial cash-cow of the British West Indies. Clearly, history shows that the soul wrenching anguish and misery visited upon the millions of Africans caught in the vicious net of the slave trade in general, and in the West Indies in particular, was not somehow avoided by a single one of them. Plantation work was the same from the Carolinas to Guyana; mother’s wailed, fathers bled, babies wallowed in an unspoken fog of regret for the squalid times into which they were born. No human being faced with this lot would wish any less than another, for the glorious taste of freedom or the mercy of death in fighting for it. However, we seem to always find cause to divide ourselves, especially given our conditioned inclination to measure our sense of achievement against the yardstick of our colonial masters. After we’ve literally been traded like cattle at a meat swap and treated worse than dogs up and down the Americas and its nearby islands; after being hunted by those dogs, drawn and quartered by horse, and surviving on the entrails of pigs, what else would it take to recognize in one another, at the least, another victim in the scurge of this ‘peculiar institution’? One of colonialism’s fundamental strategies is to divide and conquer. Even to this day, the islands, like the wider Diaspora, are slow in recovering from this pernicious tactic; rendering them as islands not only physically but culturally, when all our history and Ancestral roots remain essentially as one. Maybe it’s time to forge ahead and stop being islands, but build a cultural bridge that brings the peace and unification that reflects this truth. “A fight between grasshoppers is a joy to the crow.” Traditional saying.